Huge reduction in forces.. It does not change much because there was a drastic increase from 12 to 24 SU24’s and now removing 8 sU25’s still means more planes left than in nov. The base is just too small to allow 100 planes to operate from it as it is doing now. Looks more like fine tuning forces for more CAS. Possibility 2 Russian spec ops soldiers killed. Their pics showed by ISIS. Would be the 5th Russian who died in an active combat zone? I wont mince words like the US where if you died while being flown to Germany, you did not die in combat.. Usually you die a few hours after injury.. Reduced US deaths in Iraq to like 5000 instead of 25000. Getting electrocuted is also not counted, run over or falling into a sewage pit and drowning in sht.. Doing the same to the Nazi’s in WW2, the number of Nazi’s killed on the eastern front would be like dozens instead of over 4 million. Does anyone know how many oil fields are located in the newly declared Kurdish “Federal” state ? It seems to me the Kurdish backstabbing snakes will take an incremental approach to their deceit. First they declare a state in a federal Syria, and then eventually they will hold a ” vote ” on independence, at which point they will already have numerous USA military personnel, and bases, in the territory. If Syria or Russia protests, the USA will point to Crimea as an example and tell Russia to bugger off. Game, set, and match. map here not recent, not showing the “federated kurd republic” or whatever, but has the Kurdistan borders as delineated by various bodies 20th century, not ever activated, of course. KAR oil company meanwhile has been busy selling oil to israel long time since after ZATO invaded (one of their prime missions, i’m sure), independent of especially Baghdad. Thank you for the information. 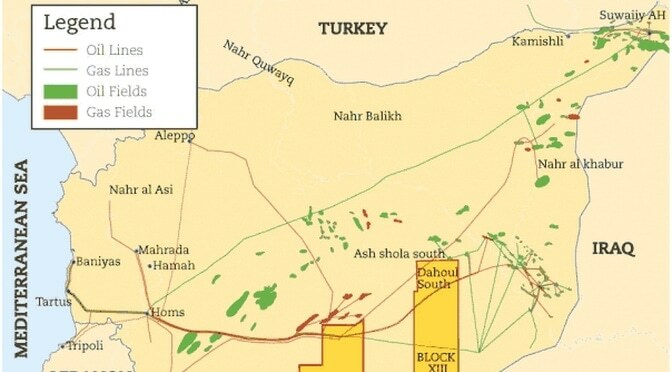 It looks like I was correct, the north east corner of Syria looks pretty well stocked with oil fields. The Kurds are either naive fools, or treacherous snakes. Either way, I hope Iraq and Syria deal with traitors in an appropriate manner later on.